The nineteen-fifties, sixties and seventies were especially exciting times for both guitar manufacturers and guitar bands who dominated the airwaves. Many people who experienced this period first-hand now have the capital to invest in these vintage instruments and transport themselves back in time to that golden era. We’ll take an in-depth look at how to select the perfect vintage guitar. We’ll look at how to get the most guitar for your money, the best resale value, and most importantly, the most beautifully playable guitars you will find anywhere. Buying your vintage guitar from a ‘bricks and mortar’ shop vs. a private seller. Whether new or used, seasoned players generally want to try an instrument due to the subtle nuances in materials, manufacture and feel. The more you spend the more important this becomes. Somebody purchasing or selling a vintage guitar privately may not be knowledgeable or comfortable enough taking it apart to check its originality. This is a critical step to safeguard your investment. Experience is vital and if you have someone with many decades experience in the trade dealing with vintage guitars, coupled with the capacity for after-sales service and restoration facilities, you know you’re in safe hands. You may pay a fraction more than buying from, for example, eBay, but you are getting peace of mind knowing your vintage guitar will be meticulously checked for authenticity, previous repairs and alterations. And, unlike private sellers, a trusted store can help with any issues after purchase. So ultimately, you need to consider whether the risk is low enough to buy privately or you want to make sure that you will be looked after moving forward and have comfort that your guitar is what it should be. To do that, you want to buy from a trusted store. Check reviews carefully: Does their after-sales service match up? Do they look after their customers? How long have they been dealing in guitars? All of these things need to factor into your decision. Do vintage guitars need to be 100% original? That depends on which category the guitar falls into; “player” or “collector”. We define a “player’s guitar” as being one that has been in service for countless gigs and recordings. Usually a standard model which has seen repairs, alterations, modifications, servicing and/or refinishing to keep the instrument playing its best over many years. These instruments often have a modest monetary value but have a certain magic for the player and are destined to be a cherished instrument in the artist’s toolkit. “Collector’s guitars” are special due to their history, rarity, uniqueness, and/or their material worth. A guitar belonging to a famous artist or that is of particularly fine craftsmanship, significant to the history of the guitar or its brand deserves preservation. Customers that visit Guitar Village often assume vintage instruments worth a lot of money have been owned by a famous artist but this isn’t necessarily the case. In fact, in most cases it’s near impossible to prove a guitar’s provenance one-hundred percent without very specific documentary evidence. The most famous artist-owned guitars usually get sold at auction to private collectors or museums. More often than not a guitar’s high-end price tag is due to the factors listed above – e.g. ; An original 1963 Gibson Es-335 ‘Block Marker’ Cherry may command £15,000+ due to the limited numbers that were produced in that finish at the time; or a Fender Stratocaster from 1954, the first year of production, can fetch £30,000+. Stevie Ray Vaughan’s “Number One” Fender Strat was Stevie’s go-to guitar when it came to touring and recording and now is on display in a Texas museum. Peter Green/Gary Moore “Greeny” Gibson Les Paul is know owned and played regularly by Metallica’s Kirk Hammett who reportedly paid in the region of $2,000,000. David Gilmour’s Black Strat is (at the time of publishing) going up for auction in 2019 and expected to fetch a small fortune for what is essentially a heavily modified CBS-era “Partscaster”. Guitars were very much the at the heart of popular music in the early nineties and the vintage market went through a major period of growth. Viewed as a small, relatively low-risk investment, older guitars, alongside other rock ‘n’ roll paraphernalia, were being bought by collectors and professionals rather than artists. Guitars like original pre-CBS era Fenders (prior to 1965) and 1950’s/60’s Gibsons were being bought up as the youth of those eras were now grown up and in charge of a disposable income. Homegrown vintage gems like Burns, Shergold, Watkins and Vox have also found renewed popularity. They are very affordable and players who originally owned them during the 60’s like the idea of owning and playing them again knowing they will increase in value over time. If you are the sort of person who loves looking around antique shops or pawn shops there are some regular production model vintage guitars you should look out for. Gibson solid-body guitars from the 1950s and early ’60s are considered to be some of the most desirable instruments with the fabled ’58, ’59 and ‘60s “Burst” Les Paul commanding six figure price tags. Other elusive Gibson solid-body models include the original Modernist Series (1958-’60) Flying V, Explorer and Moderne. 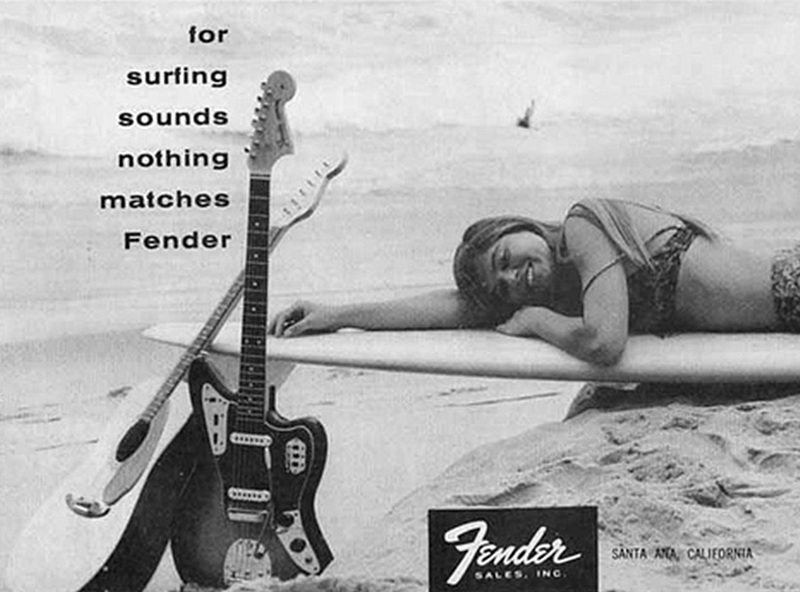 Many consider Fender’s golden era to be between 1950-1965 when Leo Fender was at the helm. This particular period is referred to as the Pre-CBS era. (The CBS corporation bought the Fender company in 1965 and is associated with a general decline in quality and erosion of the Fender brand – that being said, some great instruments were still produced in this period.) Models like the “Nocaster”, Broadcaster, (early ’50s Telecaster?) and custom colour Stratocaster can command a five figure price tag. If acoustic guitars are more your thing, vintage C.F. Martin & Co. Dreadnoughts are very collectable, especially from the early 1930’s through to World War II. Martin D-45 models from this era can fetch the same money as a 1959 Gibson Les Paul. Gibson’s answer to the Dreadnought was the Super Jumbo or SJ-200. Find one of these from the same era and you’ll be looking at a six figure sum as well. Guitar Village has built up a reputation for stocking “collector’s” and “player’s” vintage instruments over the years and we have had some great examples in the shop including a pre-war Martin D-28 which was sold in the shop recently. 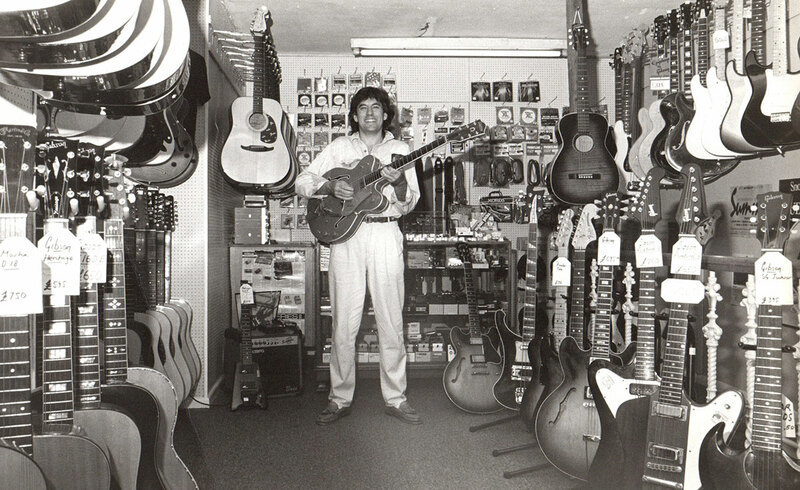 From the very first time we opened our doors over thirty years ago to the present day, pre-owned instruments have been a key part of Guitar Village. With around 150 instruments, including amps and newer used guitars, in stock at the moment, whether you fancy owning your own piece of history or taking a trip down Memory Lane with a guitar you used to play back in the day, we have a great selection here at Guitar Village to suite all budgets.